A new collection of underwear that every modern active woman needs? Cotton Liberty offers you comfort and freedom of movement. No doubt these new items will become essential basics from the Playtex brand, just like the Cross your Heart bras. 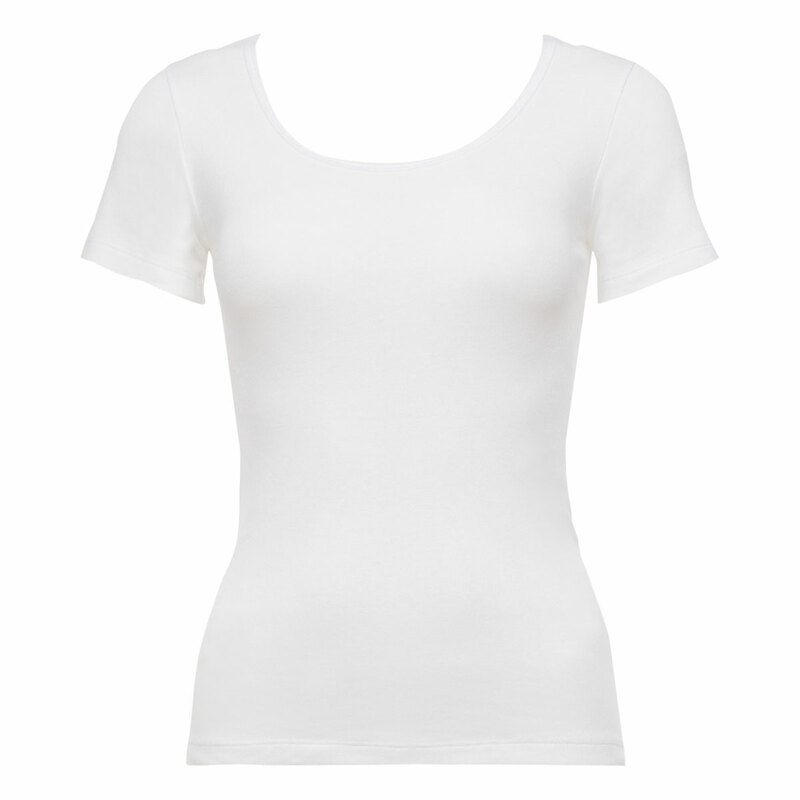 The short-sleeved white top is a basic piece. Made entirely of soft, hard-wearing cotton, it's so comfortable that you won't be able to do without it. With its short sleeves, it's a dream to wear whatever you're doing. Flat-seamed design making it very discreet under clothing. The short-sleeved white top is part of the Cotton Liberty collection and is a piece of lingerie that it's a joy to wear every day. You'll soon fall in love with this little classic T-shirt. It looks lovely worn with basic cotton briefs, like the black Mini brief from the Cotton range.